Summer time is about all of the fun our campers enjoy with the activities they will have on and off campus at Hillcrest Day Camp. 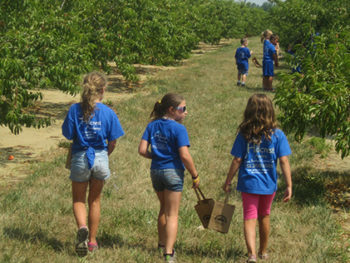 All children enrolled in our summer camp have the opportunity to attend marvelous off campus trips. Depending on their age they may visit a Farm, a Rope Park or the Museum and other great trips. On campus we have science wizards, reptile visits, game trucks, soccer, volley ball, ping pong and other sports and tournaments. The Pirate Ship Adventures and Paintball Trip are always a camp favorite. All trips are age appropriate and spaced out so that everyone has an opportunity for an offsite adventure. 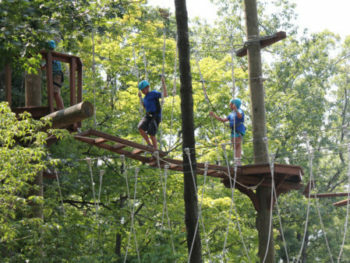 Campers will never be bored as each summer we add new, exciting excursions. Your children will be eager to see what new journeys are in store for them, as well as what favorites will return from last year. Not all of our trips require a bus and a long drive, some are close by and are easily reached. 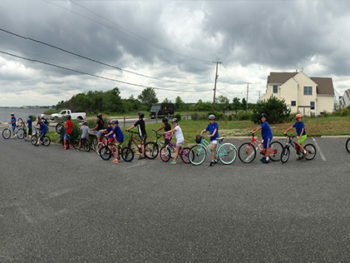 We ride our bikes through our quiet back roads and head for some fun at the beach with a picnic included. Our location makes a walk to Dairy Queen a safe and thrilling Day Trip. Sometimes we bring the adventures right to Hillcrest. Mad science and DJ dance parties afford the opportunity for the children to learn as well as dance off some steam! Our Summer Events Calendar is always booming with activities. There is something for every age including a visit from the local fire department. The kids find such joy in sitting in a real fire truck! Summer memories need not be forgotten, as a local photographer makes a visit in the summer, as well. She offers various camp picture packages and her pictures are the best around. 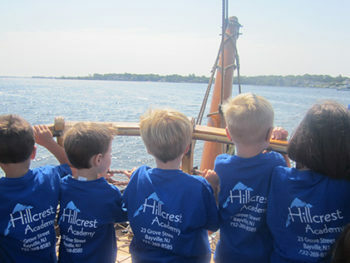 Each day there is something new and the fun never ends at Hillcrest Summer Camp. Copyright © 2018 Hillcrest Academy. All Rights Reserved.